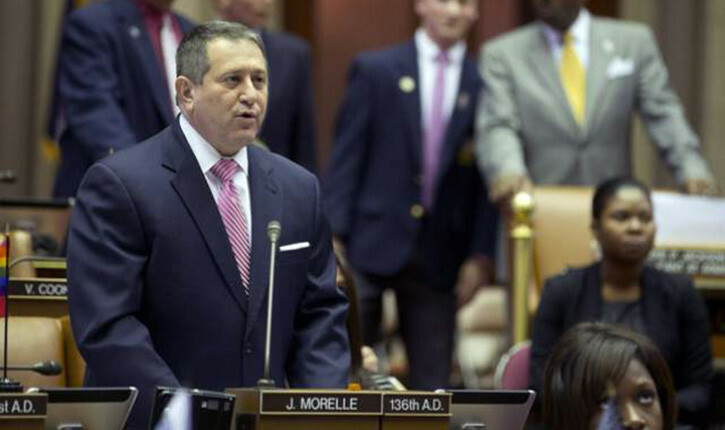 After several years of lobbying efforts by Ultimate Fighting Championship officials and contentious wrangling behind the scenes, the New York State Assembly finally voted Tuesday to approve professional mixed martial arts. Once Gov. Andrew Cuomo signs the bill and the state’s athletic commission adopts rules and regulations in order to serve as the sanctioning body, the nation’s last ban on the sport officially will be lifted. The bill passed 113-25, but opponents did not go down without a fight. While supporters mostly limited comments to reasoned takes on economic impact and the ability of constituents to already watch fights every weekend by turning on the TV or crossing state lines, dissenters made sure their objections were heard in often bizarre ways. Assemblywoman Ellen Jaffee spoke first on the bill once it was brought to the floor, lashing out about the violent nature of the sport. Assemblyman Charles Barron referenced slaves fighting in cages and police brutality in making his case against passage of the bill. Assemblyman Daniel O’Donnell, the older brother of TV personality Rosie O’Donnell, went a step further. Several other members of the Assembly made their case to variously preposterous degrees, but the outcome of the vote was never truly in doubt. UFC officials have spent more than seven years and millions of dollars lobbying the legislature to legalize the sport, which has established many more rules in the two decades since the ban went into place. The state’s senate has passed a bill to legalize MMA for seven straight years, but it has stalled in the Assembly each time. But it moved quickly Tuesday. “Jubilation,” Marc Ratner, UFC vice president of regulatory affairs, said of his reaction to the bill finally being passed. “I’ve been comparing it to an eight-year pregnancy, and finally the baby was born tonight. The tourism committee passed the bill 15-5 early in the morning. It then went to the codes committee, which passed it 16-5. The final step before heading to a vote on the full Assembly floor was the Ways & Means committee, where it passed 25-7. A simple majority of 76 votes was needed to pass the bill once it was finally brought up on the floor. According to Newsday, Cuomo again confirmed his support for the bill while speaking at an event Tuesday in Niagara Falls. “I do support MMA because it is an economic generator,” the governor told the newspaper. MMA events took place in New York in the sport’s early days, including UFC 7 in Buffalo in 1995. It was banned in 1997 when then-Gov. George Pataki pushed through a law. Several of the UFC’s biggest stars are New York natives and have campaigned for inclusion on the first card at Madison Square Garden. Former light heavyweight champion Jon Jones and former middleweight champion Chris Weidman are among that group. Weidman has been active in lobbying efforts the past several years and participated on a bus tour around the state this year rallying support for the bill. Weidman said he will insist to UFC officials he fights on the first card at Madison Square Garden. The UFC, which has pledged at least four events per year in the state for the first three years, has reserved a November date at Madison Square Garden. Fertitta said he is optimistic the UFC also can hold an event in upstate New York this year. He mentioned Buffalo, Syracuse, Rochester and Utica as possible locations. “The minute the vote passed, our team started calling arenas to see what dates are available,” he said. Contact reporter Adam Hill at [email protected] or 702-224-5509. Follow him on Twitter: @adamhilllvrj.